Founded in Hawaii in 1851, Dole is the world's largest producer and marketer of high-quality fresh fruit and fresh vegetables. The Dole brand means the finest, high-quality products. Dole will continue to meet customers' expectations by consistently providing products that meet the highest standard - the Dole standard. Dole is focused on four pillars of sustainability in all of its operations: water management, carbon footprint, soil conservation and waste reduction. For Dole, anything less is unacceptable. 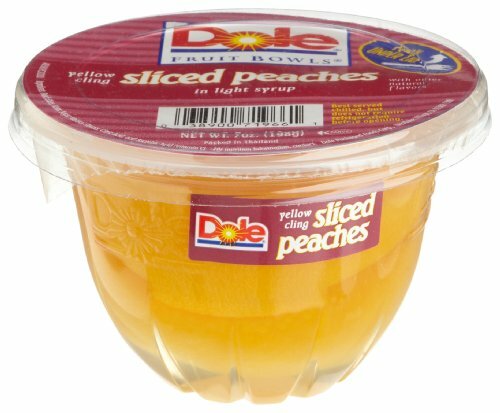 Dole Sliced Peaches in Light Syrup bring the freshness of Dole fruit together with a light and refreshing syrup for a delicious taste! 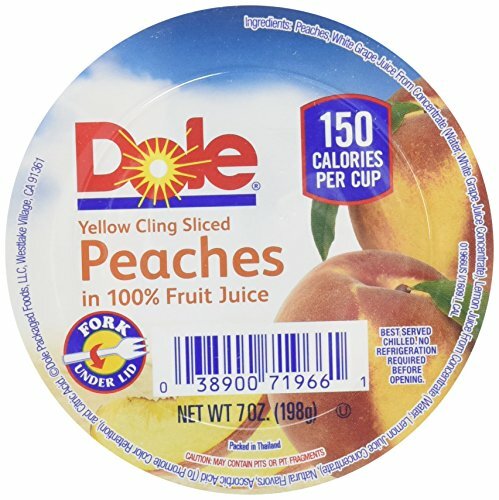 Enjoy Dole Sliced Peaches in Light Syrup at home, in the office or on-the-go. Rich in nutrition, it gives you healthy energy so you feel refreshed and ready to shine. It is suitable to have with your breakfast, with lunch or as a dessert. Excellent served chilled but it does not been to be refrigerated before opening. Comes with a fork packed under the lid. Perfect for a quick snack! Dole, make every day shine!